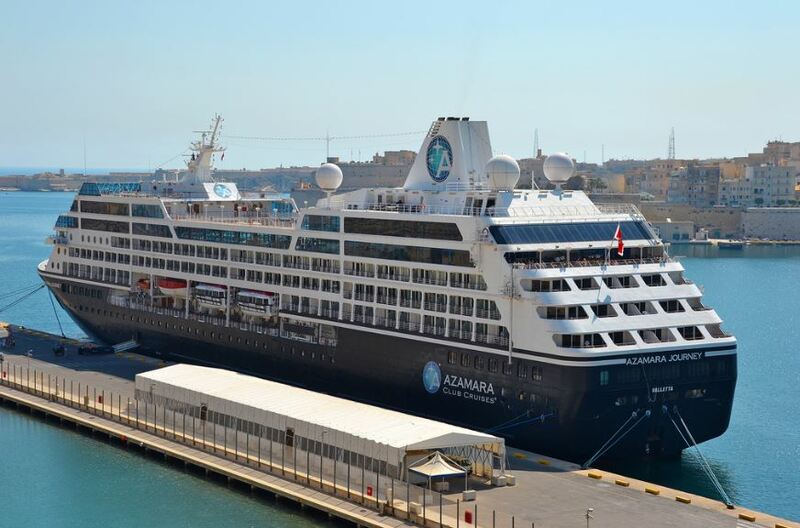 Azamara Journey cruise ship entered dry dock on Friday (January 22) in the Bahamas. During the 5-day process, she will receive a host of refurbishments and upgrades, announced previously in June, as well as a technology overhaul. "While it's important to relax and recharge while on vacation and relish the time spent off-the-grid, the reality for too many people is that staying connected is essential for work and for personal matters. As someone who stays connected no matter where I am in the world, having technologies like Pervasive Wi-Fi and interactive TV are a must… As our ships undergo major upgrades from bow to stern, we looked at all of the physical luxuries as well as the services and amenities we provide. These technology upgrades were important to ensure we are delivering to our guests the most modern experience possible." The brand new "Pervasive Wi-Fi" system provides faster Internet connectivity from any place on board the ship. Interactive TVs in all staterooms will feature new options including live TV, movies on demand, lecturer schedules, weather updates, navigational and port information. Passengers will be able to book shore excursion through their TVs, as well as to order room service. In the Inspiration Center on Deck 4, Azamara guests will be able to plan their next voyage by a 98-inch touchscreen to learn about future sailings and the ports visited. Passengers in The Drawing Room and Living Room will use interactive tabletops to send digital postcards, design their own art by a Scribble app, or surf social media sites. Azamara Journey will emerge from dry dock on January 27 (Wednesday). Azamara Quest starts her dry dock in Singapore April 2016, where she will receive the same refurbishments and upgrades.